There are enough Pokémon Go hacks out there to fast-track you to becoming a Pokémon Master -- just don't think it'll be all Sunny Days and Ho-Ohs once you hit level 30. But on your way there, you're bound to be walking a lot. And that means hatching eggs. Do not hatch eggs without considering these two points first. Since they seldom fall into your lap, don't go wasting your good eggs and the rarest Pokémon by hatching them when your XP is low. Wait until you've leveled up a while, THEN hatch that Snorlax. And for kicks, here's a Pokédex somebody put together to show you which Pokémon hatch from which eggs. It's not Team Rocket science; it's just math. Let's say you have another incubator besides your infinite one. You can either hatch three eggs in the limited one before it breaks, walking a total of 6km. OR, you can put a 10km egg in that thing, and walk 30km before it breaks. Now, let's say you put a 10km egg in the temporary incubator. 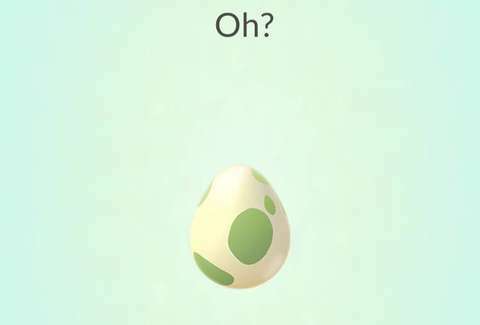 In that same 10km, you could hatch five other eggs in your unlimited incubator. Again, it's simple advice, but if the egg incubator ain't broke... well, I guess you can't really fix it anyway. You'd just have to buy a new one. But you get the idea. Ryan Craggs is Thrillist's Senior News Editor. His best Pokémon is a CP 965 Magmar. Follow him @ryanrcraggs.